On Sunday 19th April, I was honored to attend Yom Hashoah UK, a celebration of the 70th Anniversary of the end of the Holocaust, at the Barnet Coptnall Stadium, London. The event was attended by 5000 people making it the UKs largest ever Holocaust Commemoration. Also in attendance were 150 survivors and refugees. 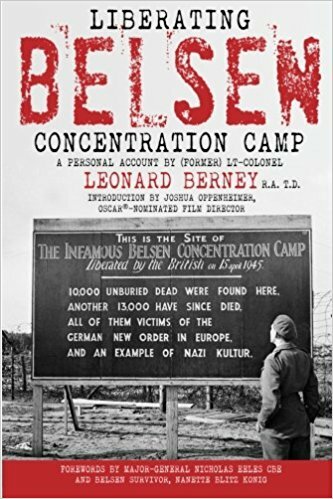 I attended the event to represent my father, Major Leonard Berney, who recently wrote his memoirs of his experience as one of the liberators of Bergen-Belsen. One of the attendees was Anita Lasker-Wallfisch who was a survivor of Belsen and was also interviewed, like my father Leonard Berney, for the film 'Night Will Fall'. "If people, today, would just remember to respect each other, whatever creed, colour or nationality or whatever they are, instead of this hate that goes on... the world would be such a better place, because hate is a terrible thing."